FSP's current clients and awards prove our FM success. The owners of the FSP each have over 30 years experience working for the largest outsourced facility service providers in the marketplace in executive and business development capacities working with over a hundred major clients such as IBM, Hewlett-Packard, Ford Motor Company, Intel, Chase, military bases, sports arenas, scientific labs including Lawrence Livermore, Northrop Grumman, Santa Fe Railroad, Delta Airlines, Lam Research, and many more. The owners have worked in executive level capacities with the Fluor Corporation, CB Richard Ellis, EMCOR and Carrier. FSP has a number of success factors that have and will differentiate it from the competition. The first success factor is our operational, competitive, and strategic knowledge. Our knowledge provides the company the capability to have a competitive adaptable response to varied client needs in different business cultures. We have the ability to get into the world of our clients and help them articulate their needs and fashion a partnering arrangement that promotes their long-term success. Our second success factor is our ability to adopt unique contractual relationships that larger competitors cannot or will not adopt. We cater to facilities that are between twenty thousand and one million square feet. This strategy contributes to flexible, adaptable, and long contractual relationships with satisfied clients. The third success factor is our unmatched accountability. 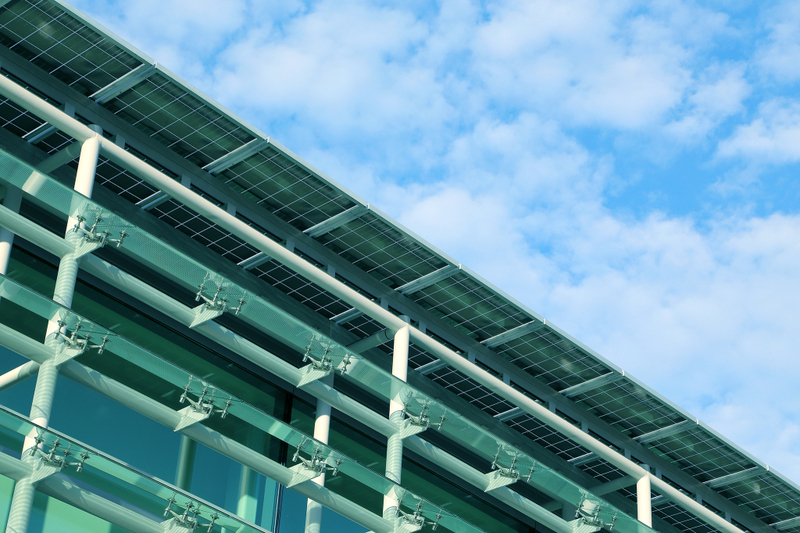 Most facility competitor organizations residing at work sites do not get much support from their corporate offices in terms of tactical plans, executive reporting, and direct value added to their customers. We provide value added off-site executive support that keeps the communications lines open, builds trust and promotes effectiveness. The APPA Award for Excellence is designed to recognize and advance excellence in the field of educational facilities. 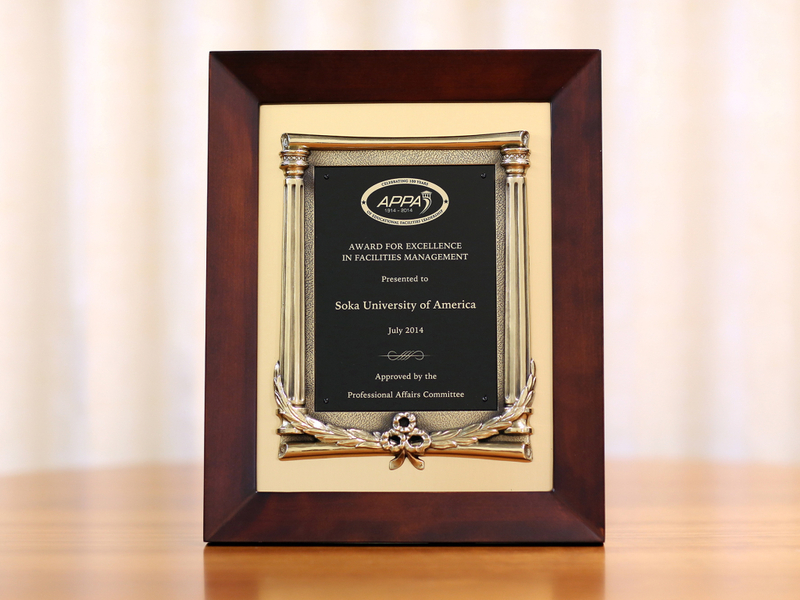 Originally established in 1988, the Award for Excellence is APPA’s highest institutional honor and provides educational institutions the opportunity for national and international recognition for their outstanding achievements in facilities management. The award is designed to highlight the essential role of facilities operations in the overall institutional mission and vision. Award for Excellence nominations are evaluated using the same criteria applied through the Facilities Management Evaluation Program (FMEP) in the areas of: leadership; strategic and operational planning; customer focus; information and analysis; development and management of human resources; process management; and, performance results. Nominated institutions also submit to a site review conducted by an awards evaluation team, when appropriate. The Award for Excellence designation is valid for a period of five years. FSP is proud that it was instrumental, as Soka University’s outsourced facilities department, to receive this award for the University. The Malcolm Baldrige National Quality Award is the national quality award that recognizes U.S. organizations in the business, health care, education, and nonprofit sectors for performance excellence. The Baldrige Award is the only formal recognition of the performance excellence of both public and private U.S. organizations given by the President of the United States. The California Council of Excellence, uses the Malcolm Baldrige Criteria to provide awards for excellence to California organizations. 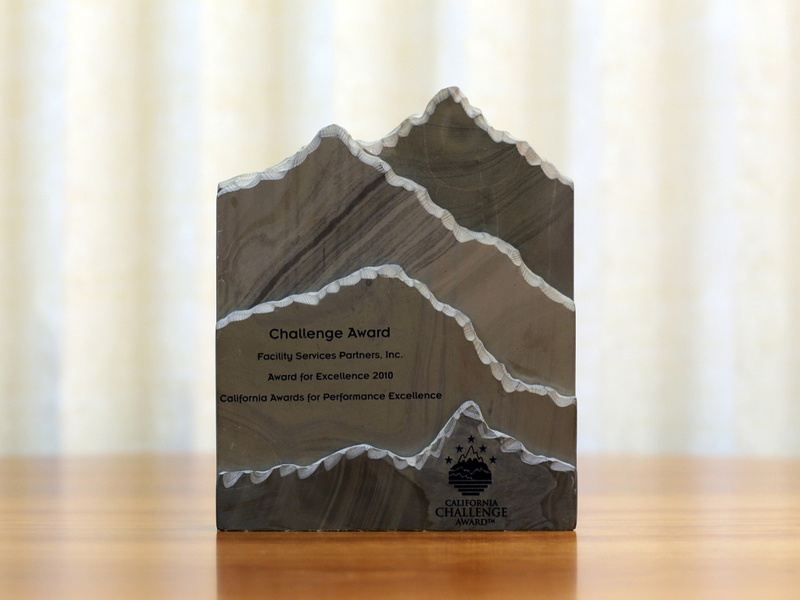 In 2011, FSP received the Challenge Award in recognition of its adherence to the Malcolm Baldrige criteria in the running of its company and the facilities services it provides to its clients.